Scientists have done some serious research on how the brain reacts when we skip breakfast and why fat accumulates in the body exactly when we try to lose weight. If you are trying to lose weight you will probably find it easier to skip the first meal of the day. Being the first meal, the stomach isn’t asking for food yet, so you can trick your brain into skipping it more easily. Well, you couldn’t be more wrong. The trick is on you and more specifically on your body. Not having breakfast makes your brain believe that, in fact, your need is to eat foods with more calorie intake. A team of researchers at Imperia College London, United Kingdom, has started studying the way that our eating behavior influences the reward zone situated in the brain. For this, being a preliminary study, they gathered a group of 20 volunteers. The volunteers were healthy people at a normal weight. The experiment lasted just two day. The first day, the volunteers were asked to skip breakfast the day of the experiment. The testing consisted in viewing some photos of a series of foods, some fattening, like pizza, French fries, cakes and chocolate, some healthy, like salads, fish and vegetables. During the exercise, the researchers analyzed they way their brain responded to the photos. The reward zone was highly active. The second day, they were asked to do the same thing, except this time they were asked to have breakfast before the exercise. Their reward zone was analyzed this day, too, and it was noticed that the reward zone wasn’t as active as the day before. Prof. Tony Goldstone, the endocrinologist who led the research, said that their results sustain the advice nutritionists give in regard with breakfast habits. When people skip meals, and especially breakfast, their brain changes the way it responses to food and sabotages the weight loss. More than that, it creates a good path for weight gain. Scientists say that not only photos can trigger the reward zone in the brain, but also smells. The reward zone in the brain is a neural area that gets triggered when we feel frustrated for not satisfying other needs. At this point we, more or less conscientious, feel the need to compensate/ reward ourselves. 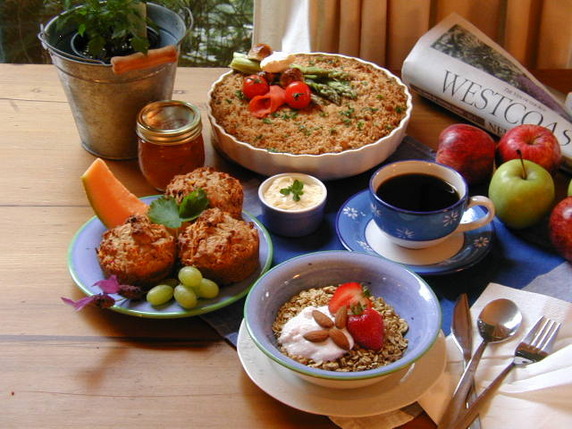 This being said, if you have skipped breakfast and, on your way to work, pass by a pastry shop, chances are you are going to buy and eat more calories than you would have eaten on breakfast at home.